So ever since I got in my car accident, I’ve been carless. So what have I been doing instead? Ubering. And I’ve been loving it, especially since I’m getting $1 cash back on every Uber ride, plus bonuses. So I take Uber twice a day, 5 days a week, saving $1 on each ride. That’s at least $2/day in savings. Combine that with various bonuses I’ve earned for taking Uber so much, and my savings have exceeded $600. Curious how I do it? Read on. It’s not complicated. It’s all done through an app on my phone. 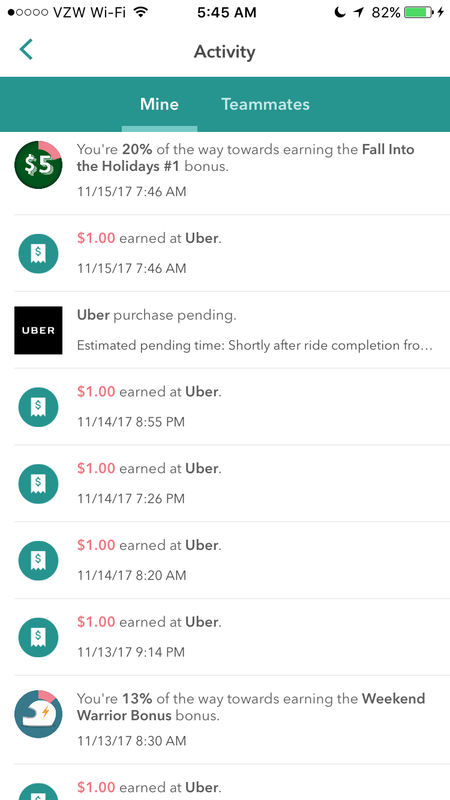 I sign on to Uber through this app, and I’m given $1 cash back after my ride is done. If you’d like to save $1 on every Uber ride too, click the link below. This is easy money, people! Go get it! ? Thanks for being a part of the Dollars & Sense Pinterest board. This article is everything. Sometimes you have to spend some money and you should try to save as much of that as possible where possible. I started with simple cashback portals like eBates and Mr. Rebates. Ibotta takes my current nonexistent couponing and injects steriods. Love the app and all the money it has saved me from Uber to Poshmark to the liquor store. Do I need these little luxuries? No. But since I am going to buy or use them, why not get some cash back!